Mitsubushi Fuso Parts recently revamped their logo for its Parts division for their new PromoBook. The book is comprised of Genuine Parts, Value Parts, and All Makes Parts. The PromoBook is now easier to browse, shop and order from. Parts are now grouped by price-point – Genuine, Value, All Makes and then by product category…. Mitsubishi Fuso: Quality parts, value price. 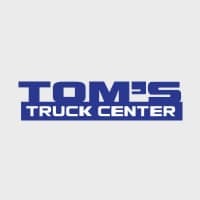 Tom's Truck Center	33.7530999, -117.8515651.